Bait sprays consist of a protein laced with small amounts of toxin to kill the adult fruit fly. Females require protein to mature their eggs and to maintain egg production throughout their lifetime. Bait sprays are highly effective at suppressing the entire fruit fly population, and for this reason are used in sterile insect release and area-wide management programs worldwide. 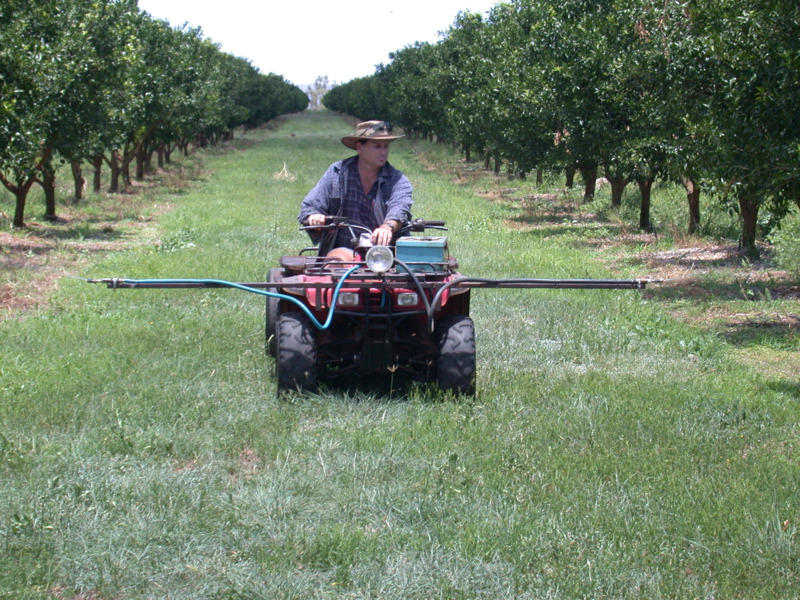 Bait spraying is most effective if begun early and applied consistently to the entire orchard. Commence weekly baiting when fruit is half size. Where medfly pressure is high, start after fruit set. Apply baits at least once per week as the insecticide mixure is not effective beyond this. Do not apply bait to the same tree more than once a week, due to potential problems with phytotoxicity. Bait twice weekly if trapping indicates that fly numbers are constantly > 1 fly/trap/week. Alternate the rows or trees you spray, so you are only baiting any tree only once in any one week. Look for stings and consider cover spraying if necessary. Baiting your entire orchard is more effective than baiting just a few blocks. Choose a regular morning and day for your baiting, and program it into your orchard management plans. Reapply bait if it rains. Bait wind breaks and other non-fruit evergreen trees in the orchard. Bait in the morning to the foliage (aim for middle to top of tree) so that fresh bait is available when flies start to feed. Continue baiting a block for at least four weeks after harvest, to ensure that flies emerging from the soil are killed. 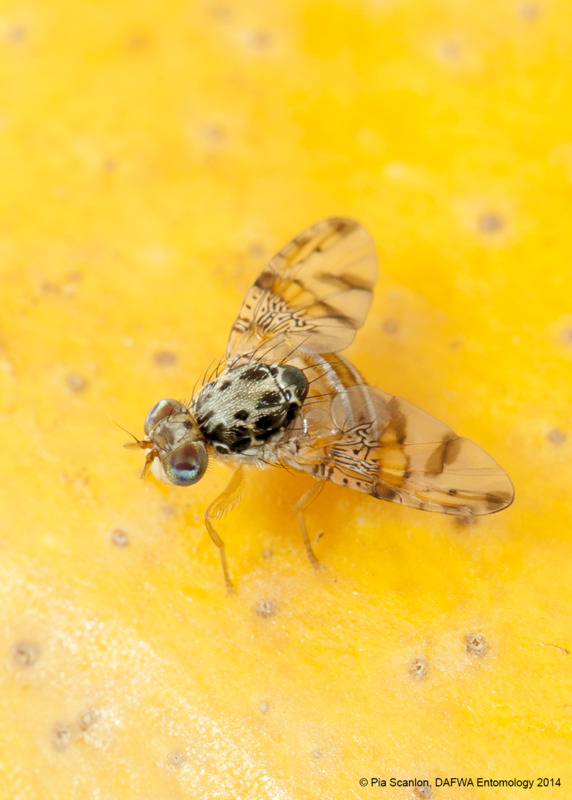 Continue to treat any citrus trees (regardless of whether they have fruit) while fruit is on the other trees, as citrus are favoured resting places for Medfly. Baiting in autumn is also recommended as Medflies present are the source of next year's population. How much bait do I apply per hectare?